Suzanne is the co-founder and front-end lead at Evolving Web, a web agency in Montreal specializing in Drupal. She manages Drupal projects, and provides strategic and technical guidance to the development team. 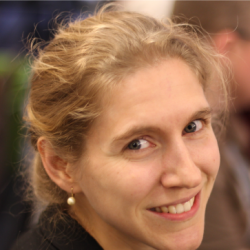 Suzanne also provides in-depth Drupal training around the world. She's trained teams at Georgia Tech, McGill University, Princeton University Press, the Chicago Botanic Garden, as well as numerous government departments, digital agencies, and arts organizations. She presents regularly at DrupalCons and Drupal Camps about front-end development and user experience. She is a community-elected board member of the Drupal Association.